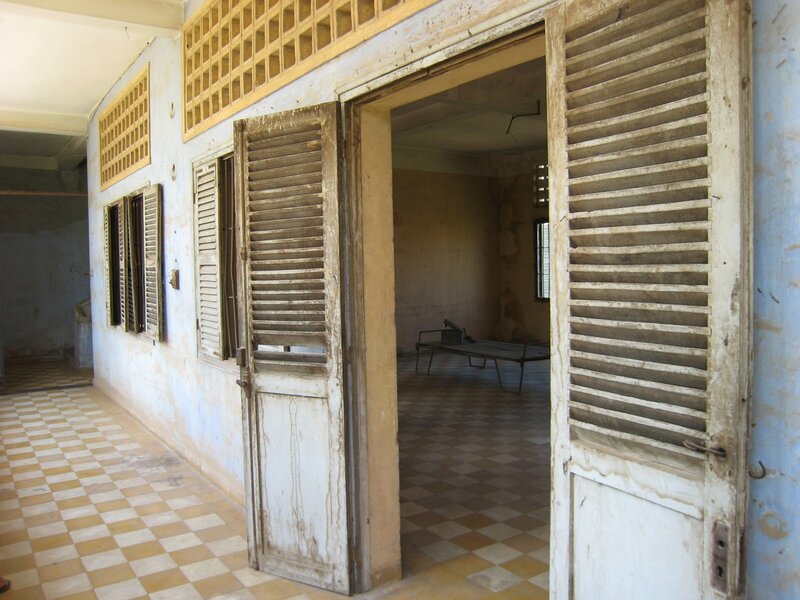 From ’75-’79, at least 17 000 people were tortured and killed in Security Prison S-21, a former high school which now stands as witness to some of the atrocities committed by the Khmer Rouge during Pol Pot’s genocidal rule over Cam. 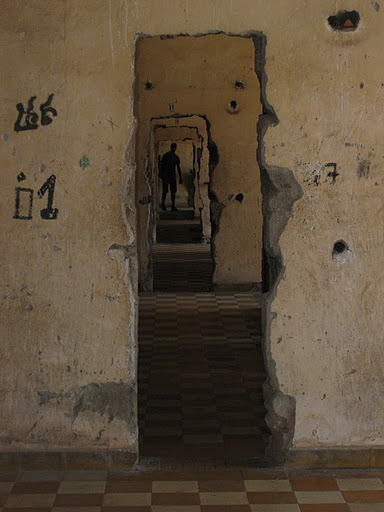 The story goes that Vietnamese photographers followed the stench of rotting bodies to discover what remained of the last prisoners of S-21, killed by their fleeing captors. 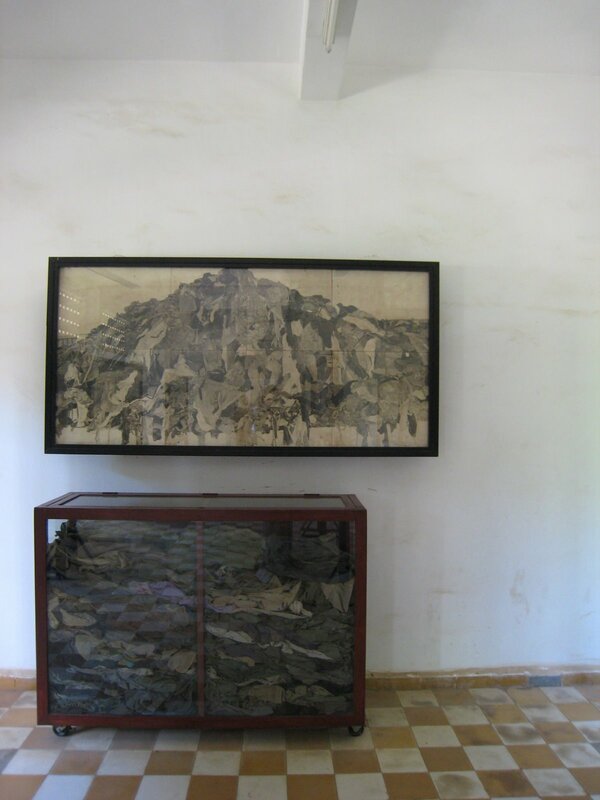 The photographs taken that day are now the most shocking component of the museum’s “exhibits”, mounted in the same bare rooms that formed the prison’s torture chambers: the bare iron bed frames, shackles and blunt shovels used on prisoners remain to this day, a simple and brutal display of the unspeakable acts that took place here. Other spaces revealed wall after wall of documentary photographs of prisoners, piles of clothes never to be worn again (prisoners were stripped and often remained naked til their deaths), and plenty of the restraints worn even while sleeping by the men, women and children from all over the country who ended up here. 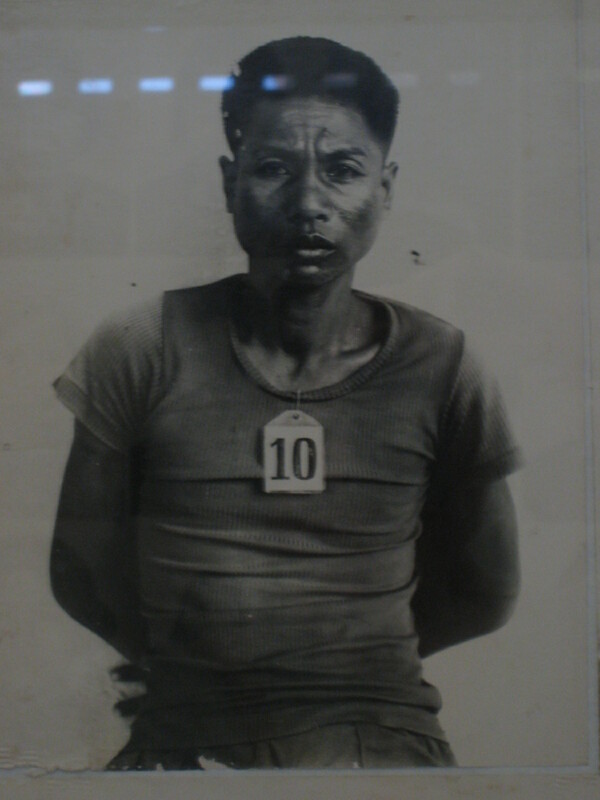 Many of those tortured into confessions of espionage and treason were actually Khmer Rouge soldiers and their families, though “inmates” were drawn from all over the country. 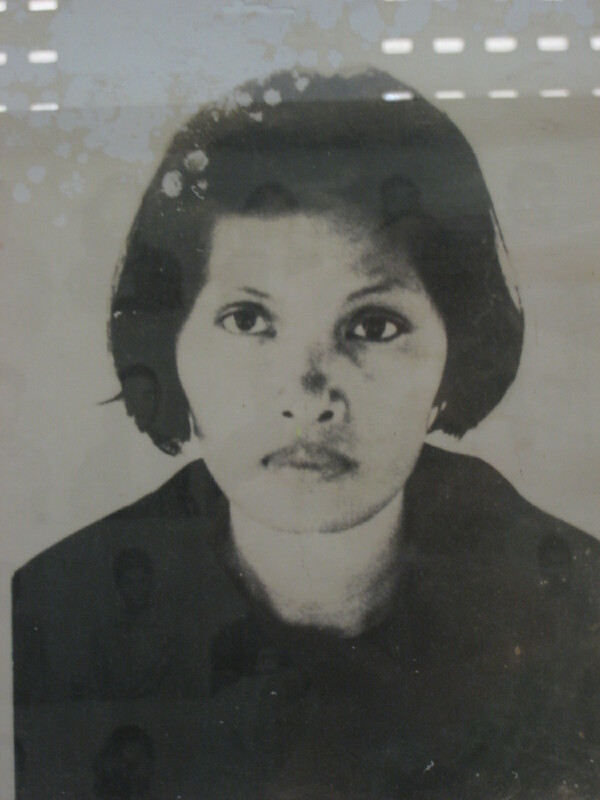 Again, it’s claimed that S-21 was a clearing house for those Pol Pot believed were capable of raising a coup against him. It seems that as the regime became more and more extreme, no one was safe from suspicion. 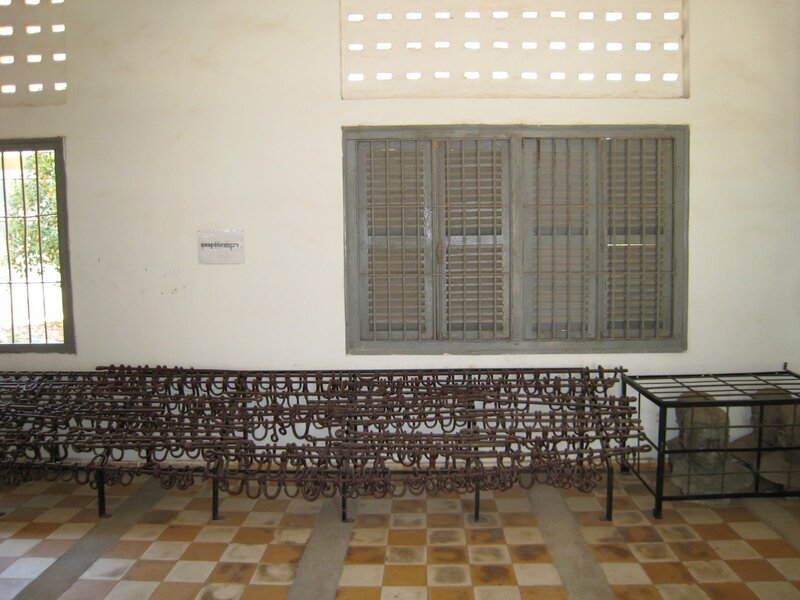 Children brought to the prison were sometimes recruited as guards, and one man escaped death to become an official illustrator of the torture techniques used at Tuol Sleng. Though the sights within these rooms struck most visitors dumb (and one despicably dumb American asked her guide how they got the bones so neat – did they execute the people standing up? No, they moved the remains after they were dead, you idiot), the sun continued to shine though the corridors of the old school, the grass was green and palm trees swayed around the gallows erected in the grounds. 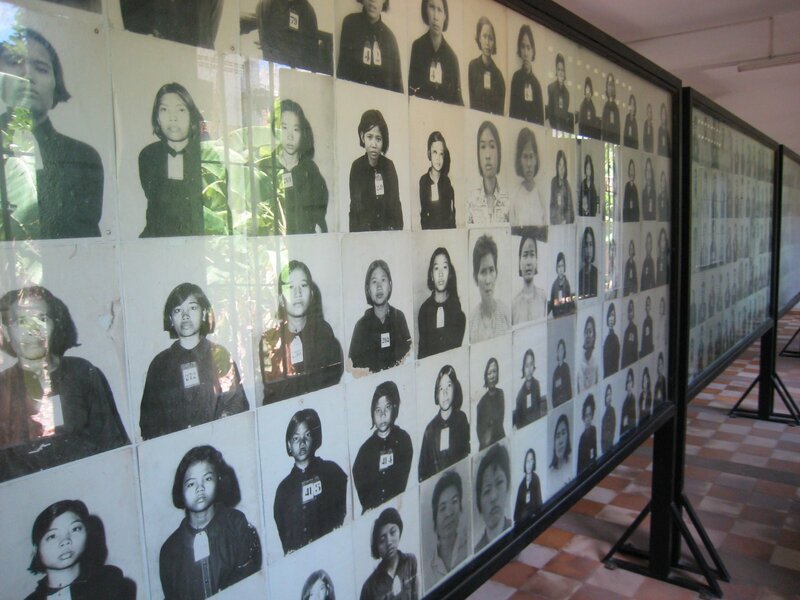 It seems only yesterday that these events occurred, and yet a million miles away from present day Phnom Penh. The sheer youthfulness of the population creates a feeling of optimism – seize the day kinda stuff… I feel an uneasy but immense respect for the Cambodian people who live in the shadow of this legacy but move forward with a confident smile.